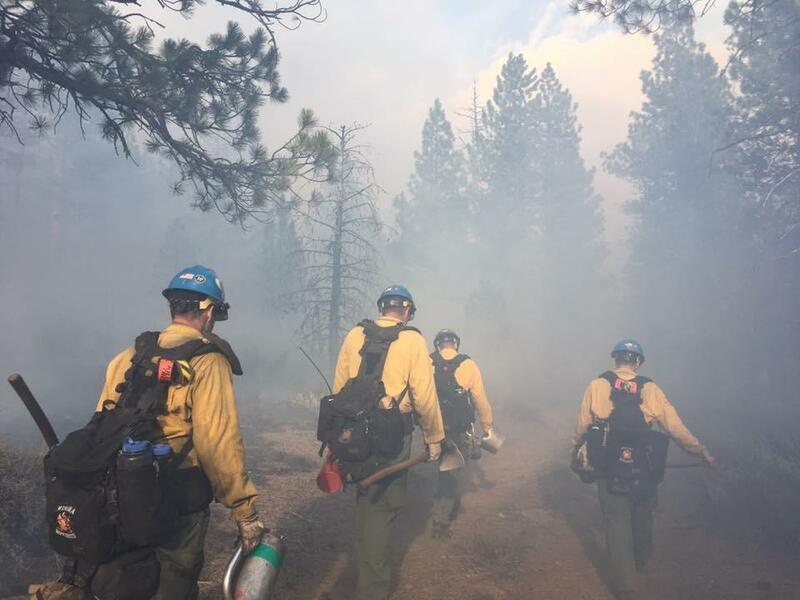 Lakeview, Ore. – Fire managers within South Central Oregon Fire Management Partnership (SCOFMP) are utilizing the warm fall temperatures to continue with prescribed burning as weather and air conditions permit. Prescribed burns help decrease the threat of high-intensity, high-severity wildfires; reduce the risk of insect and disease outbreak; recycle nutrients that increase soil productivity; and improve wildlife habitat. The actual days of ignition for these burn projects will depend on several factors including appropriate humidity levels, wind speed and direction, temperature, and fuel moisture. Burns only occur on days when the Oregon Smoke Management Office indicates suitable weather conditions exist for smoke dispersal. Area residents and visitors may notice smoke on public lands in various areas during the next few months as part of the continued commitment to protect communities and natural resources from extreme wildfires. Approximately 500 acres of prescribed burning is planned for the West Spodue Project area, located 12 miles north of Beatty and just west of Spodue Mountain. An additional 300 acres are scheduled to be treated within the Long Project area, 15 miles east of the Bly, in the Coleman Rim area. Pile burning has been ongoing and will continue in various locations throughout the District. For more information, please contact Bly Ranger District Fire Management Officer Eric Knerr at 541-353-2741 or Bly Ranger District Assistant Fire Management Officer Leland Hunter at 541-353-2745. Approximately 500 acres of prescribed burning is planned for the Chemult Town site Project area, located adjacent to the town of Chemult on Highway 97 and 400 acres in the Jack Unit area, located 13 miles east of Chemult, near Tea Table Mountain. 700 acres are scheduled to be treated within the Cub Unit area, 25 miles southwest of Chemult, near Lookout Butte south of Highway 138. Additional pile burning will continue throughout the winter, 40 miles east of Chemult. For more information, please contact Chemult Ranger District Assistant Fire Management Officer Ken Gregor at 541-365-7057 or Engine Captain Dave Varon at 559-202-7345. Roughly 300 acres of prescribed burning is planned in the Ninemile Project area located about five miles east of Chiloquin, south of the Sprague River Road near Corbell Butte. An additional 75 acres will be treated on the Yoss House Project, located 15 miles northeast of Chiloquin in the Yoss Ridge area. Pile burning has been ongoing and will continue in various locations throughout the District. For additional information, please contact the Chiloquin Ranger District Assistant Fire Management Officer, Evan Wright at 541-783-4056 or District Fire Management Officer Mitch Wilson 514-783-4066. Approximately 258 acres of prescribed burning is planned for the Raccoon Project Unit, located 30 miles northwest of Klamath Falls adjacent to Highway 140 in the Odessa area, near Rocky Point. Another method of reducing fuel is to burn piles of woody debris which is scheduled within the Klamath Ranger District. For more information, please contact Klamath Ranger District Assistant Fire Management Officer Philp Bordelon at 541-885-3413. Located six miles east of Lakeview, 750 acres of prescribed fire is planned in the Burnt Willow Project area, near Burnt Creek and 400 acres in the West Drews Project area, west of Drews Reservoir. Pile burning has been ongoing and will continue in various locations throughout the District. For additional information, please contact Lakeview Ranger District Assistant Fire Management Officer Coley Neider at 541-219-2126. Nearly 800 acres of prescribed burning is planned in the Coyote Creek area, which is 25 miles southwest of Silver Lake and 500 acres of prescribed fire is planned for the Paisley Ranger District, located west of Forest Service Road 33 near Coffee Pot Flat, 14 miles southwest of Paisley. Pile burning has been ongoing and will continue in various locations throughout the District. For more information, please contact Silver Lake Ranger District Assistant Fire Management Officer Joel Johnson 541-219-0310 or Paisley Ranger District Assistant Fire Management Officer Sam Tacchini 541-219-2028. Prescribed burning of cut juniper, approximately 3,000 acres is planned within the South Warner Project area, located 16 miles east of Lakeview and five miles southwest of Adel. For additional information, please contact the Bureau of Land Management Fire Operations Supervisor Abel Harrington at 541-219-0103. A number of areas will be burning piles: Approximately 50 acres in the Gerber area is planned 12 miles southeast of Bonanza; 600 acres located four miles north of Malin; Bly Mountain, located eight miles north of Bonanza; and 40 piles located four miles northwest of Keno. 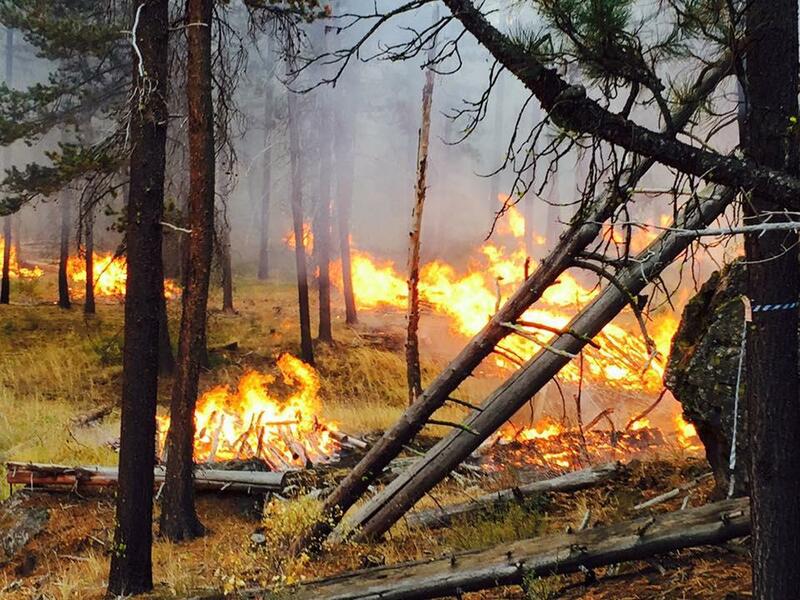 For more information, contact Bureau of Land Management Fire Operations Supervisor Justin Pyle at 541-885-4177. Approximately 1,500 acres of cut juniper will be treated in the Poker Jim area of NWRC Hart Mountain National Antelope Refuge. Most of the planned burning on Hart Mountain is approximately eight to 10 miles east of Plush. For more information, please contact the U.S. Fish and Wildlife Office at 541-947-3315 or Bureau of Land Management Fire Operations Supervisor Abel Harrington at 541-219-0103. Prescribed burning notices will be placed at Fremont-Winema National Forest Offices and Lakeview Interagency Office prior to ignition and posted online. 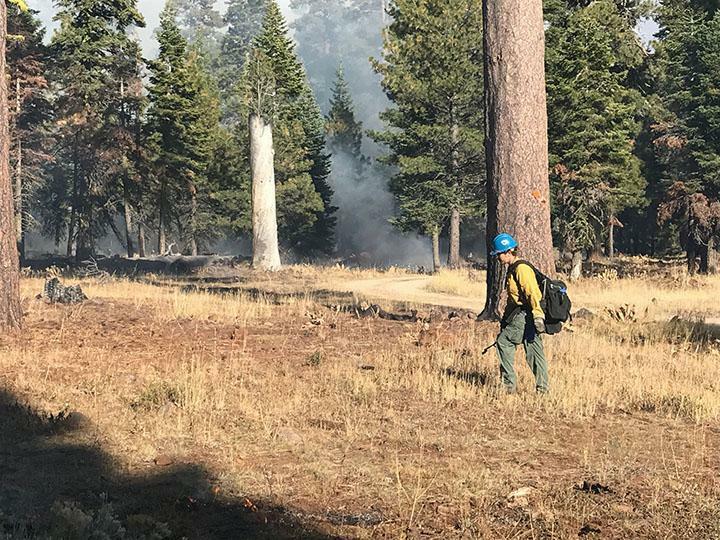 Fremont-Winema National Forest, BLM Lakeview District, and NWRC employees are committed to a safe and successful prescribed burning season for both the public and employees.